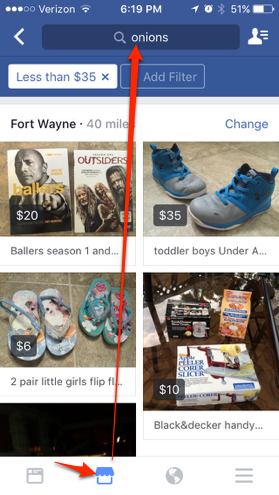 How to display Facebook Marketplace on web-based interface? As of today, Facebook has fully rolled out our new Marketplace feature. You can use Marketplace to list what you have and what you want within your group of friends, networks, or other networks. Beyond its use for classified listings, you can use Marketplace to get a sense of everything available or desired within your networks. Your listings in Marketplace can be anything—books and DVDs you don’t need anymore, the dream job you are looking to land, or the special requirements it takes just to be your roommate—but one thing remains the same; you have something to offer, and someone else is probably looking for that thing. You can create a listing for basically anything, and you can easily track your connections to other people in Marketplace. This means that the next time you want to buy something, you can ask a mutual friend of the seller if she is the type to scratch CDs or let the cat have free reign over the sofa bed. As always, you have complete control over your privacy and the privacy of your listings.